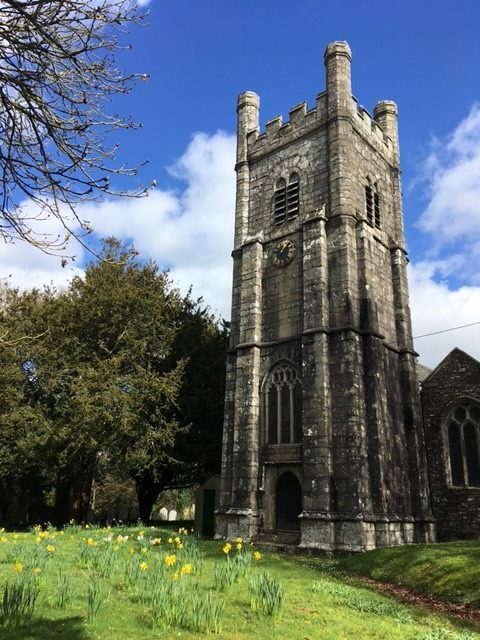 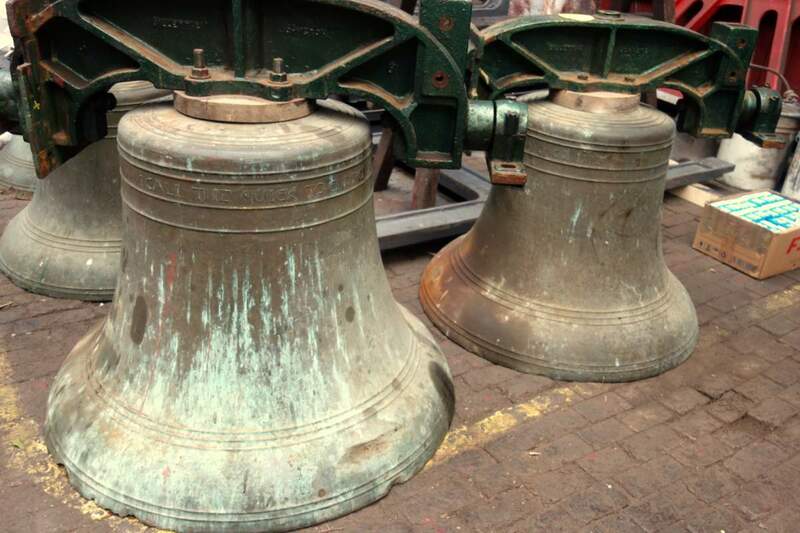 This church has a complete ring of six (tenor 9 cwt) that were cast by J III, C IV & W Pennington in 1773. 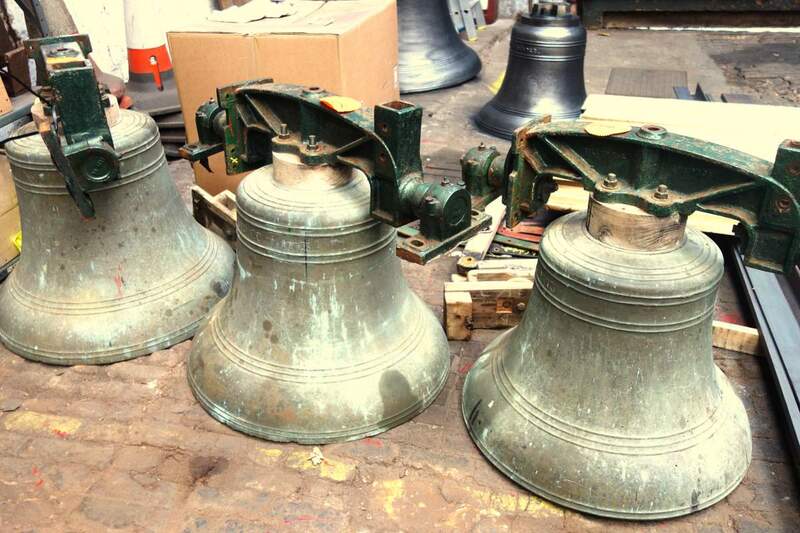 The bells and their fittings will be removed from the tower and brought to Loughborough. 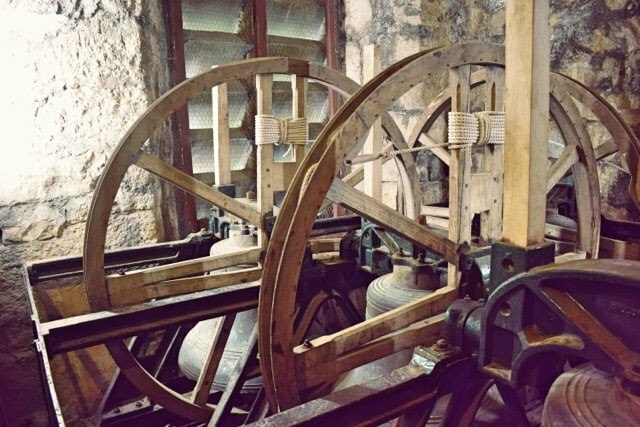 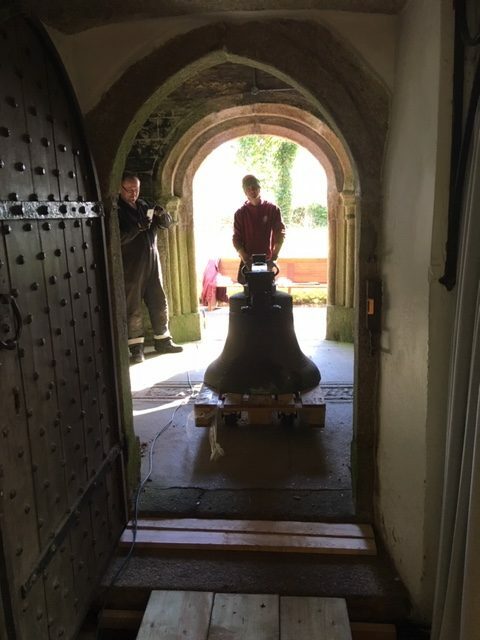 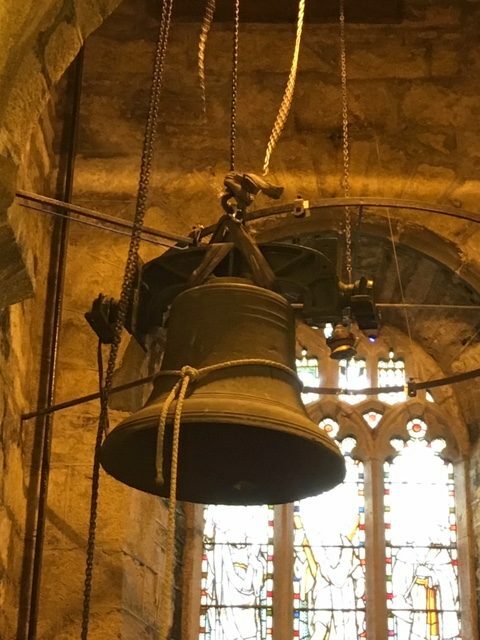 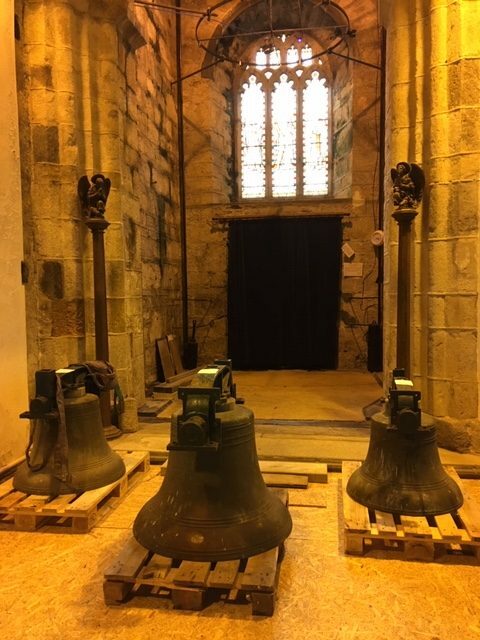 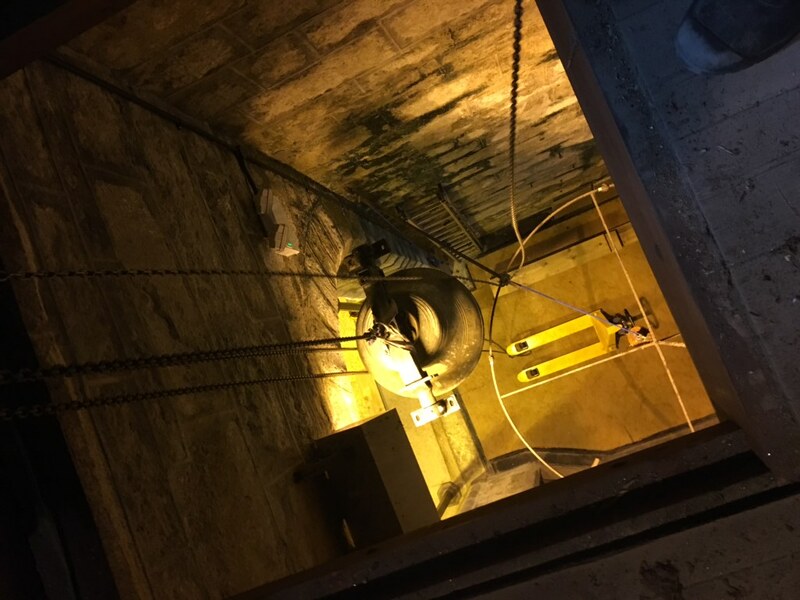 New ringing fittings will be manufactured for all the bells, and they will then be rehung in the restored cast iron and steel bell frame that was manufactured and installed by Gillett & Johnston in 1952. 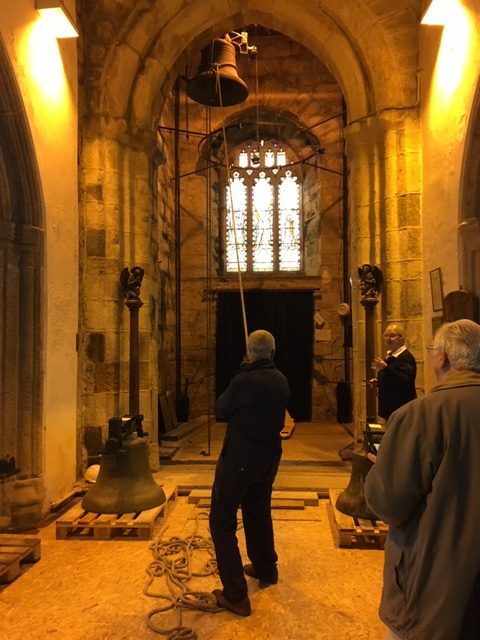 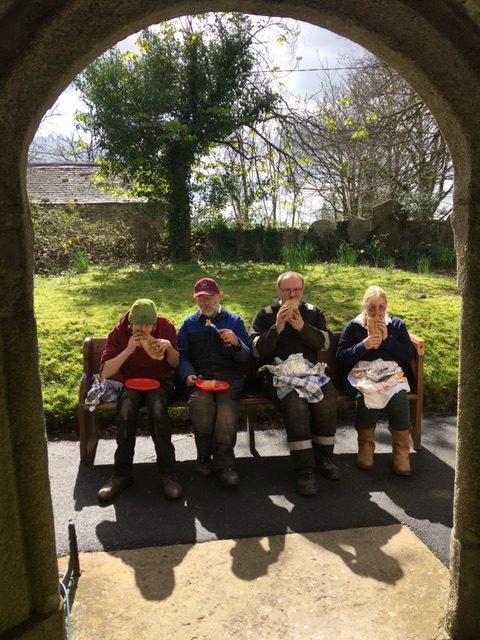 Kit, Kevan, Owen & Sue - bell removers all! 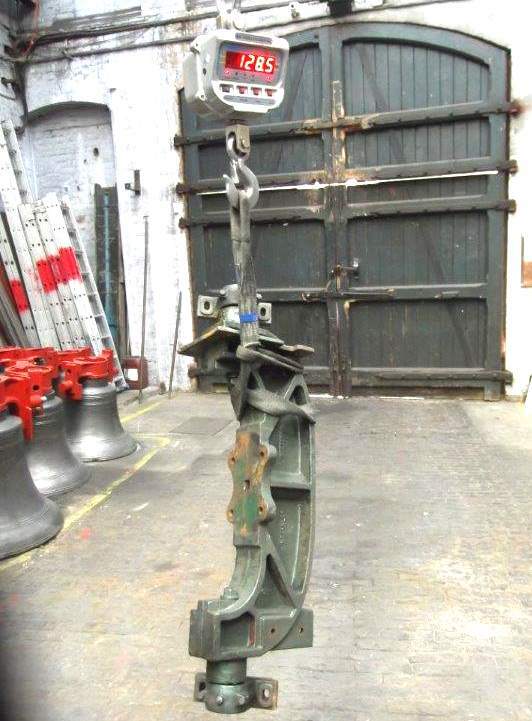 The G & J tenor headstock was much too heavy - giving the tenor the local name of "the beast". 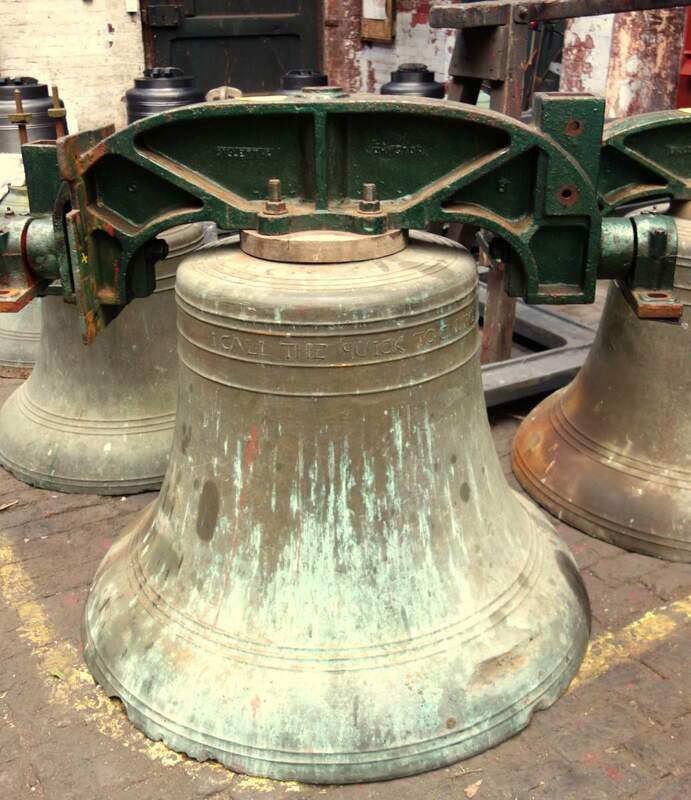 The bells and their fittings have been removed from the tower and have arrived at Loughborough.